NOTE: This is a reprint of my review from the Sundance Film Festival. 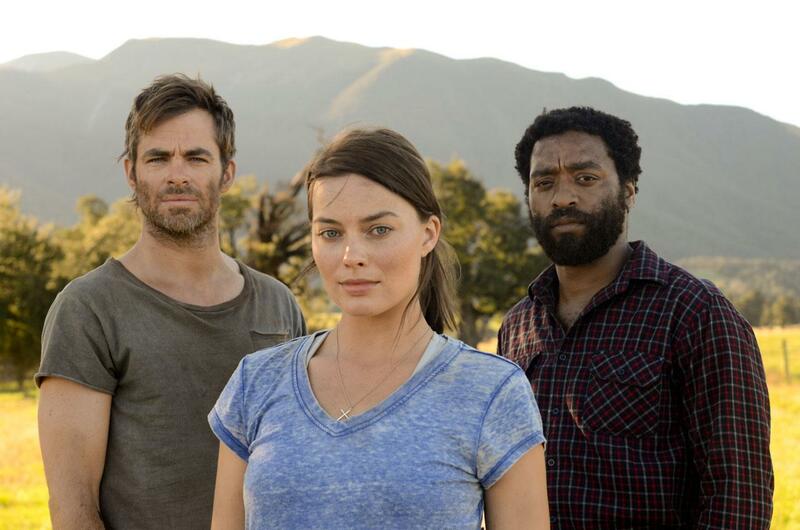 Z for Zachariah opens on Aug. 28th. In 2012, Craig Zobel's impressive but difficult to endure directorial debut Compliance looked with dim-colored glasses at the ways power can be used to control others. 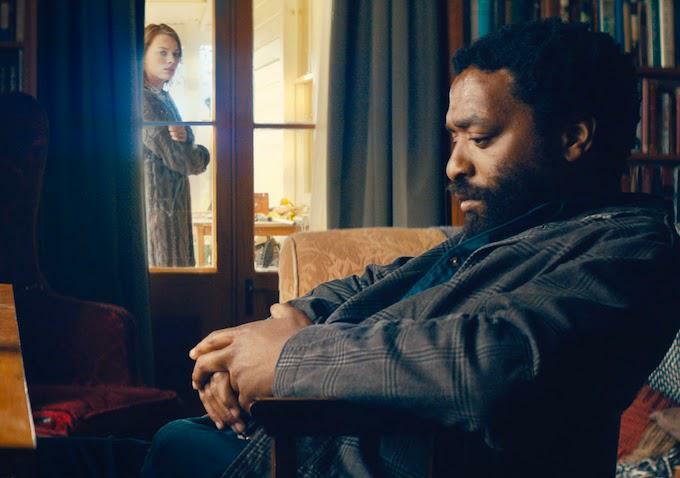 His follow-up, the sci-fi flavored Z for Zachariah also looks at authority, albeit a much higher one, and how one's faith can be manipulated by others to achieve their ends, but also how we use it to lie to ourselves about our own desires. Only three characters occupy space in this intimate but gripping thriller set in the wake of a disaster that has destroyed the human population and rendered much of the planet uninhabitable. Margot Robbie trades in the glamorous characters we're accustomed to seeing her in for the role of Ann, the lone survivor in a pocket of unaffected land. More than capable of surviving on her own, although her trusty dog is by her side, Ann hunts and farms to eke out a meager, lonely existence. That changes when she encounters Loomis (Chiwetel Ejiofor), the first human she's seen in ages and a lifeline out of her despair. It's clear he's been in much the same boat, and after an accident leaves him sick with radiation poisoning the two set aside their mutual mistrust to take care of one another. Anytime two lonely people are placed in such close proximity the spark of romance is probable, but it's inevitable given the extreme nature of their circumstances. And while Zobel slowly builds to that passion through their work to build a sustainable life, he's more interested in the ideological differences that could derail everything. She's driven by the power of her religious convictions, believing to the core of her being that God has done all of this for a reason. Loomis, while not an outright atheist, is a scientist who has no qualms about tearing down her father's old church to build a power source to survive a harsh winter. While there are no pointed, heated debates, the film is too elegantly constructed for that, it’s never far out of mind as new temptations creep into their lives. 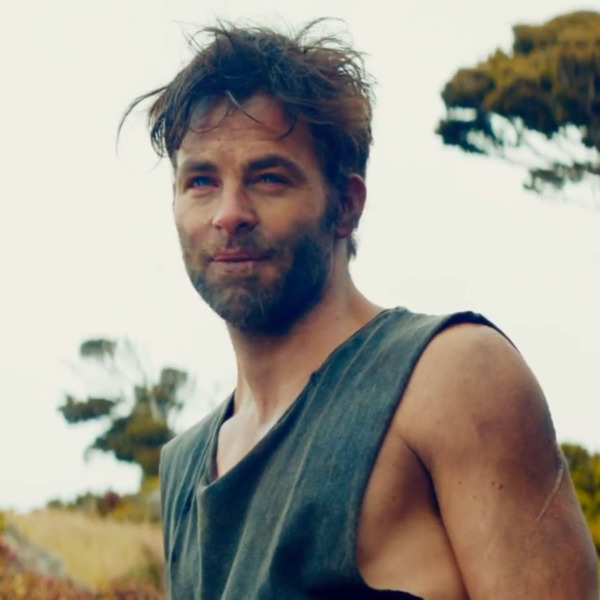 The arrival of a shady but charming drifter named Caleb (Chris Pine) awakens the passion in Ann, while also providing her an outlet to express her faith. Naturally it doesn't please Loomis to nearly the same degree, and soon the pressure builds between both men as they subtly one-up each other to win Ann's love. Rich with themes of jealousy, contempt, and lust, Z for Zachariah explores the internal conflict between the needs of the flesh and of the soul. It's a powerful follow-up for Zobel, and he's proving to be a director capable of pulling the best from his actors. It's refreshing to see Robbie in a complicated, vanity-free role like this as she was already getting pigeonholed as a screen vixen. As Ann she gets to show vulnerability we've yet to see from her before, and at this point one has to recognize how integral she's been to the success of every film she's been in. Ejiofor is simply amazing once again, and perhaps has the most complicated, wide-ranging role to play. Once again Ejiofor is placed in the role of a man forced to endure hardships, both great and small, for a chance to live the life he imagined. Pine's role is less defined than the others but it’s good to see him outside of a larger ensemble for once. While predicting which films will go on to greater things outside of the festival is always tricky, Z for Zachariah is a masterfully done film of deep complexity that everyone would be wise to seek out.